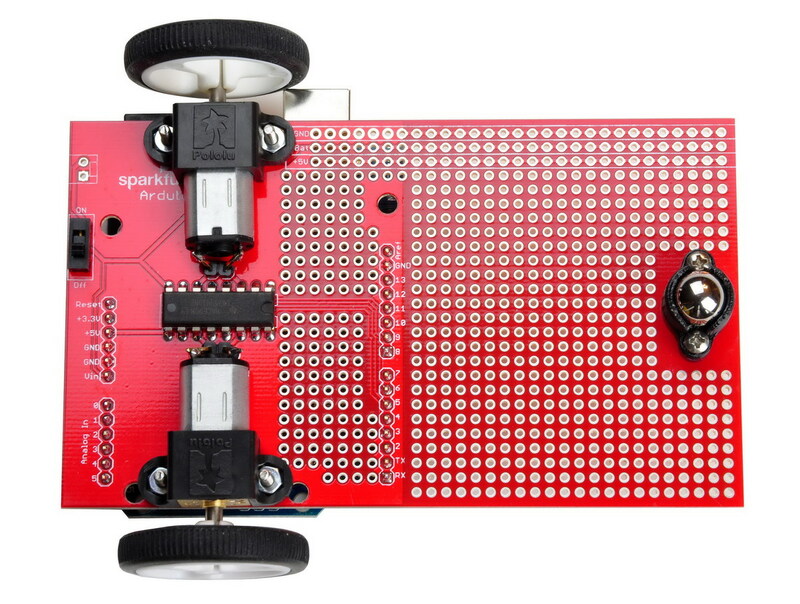 The Ardubot can be the foundation of your own Arduino-powered bot. 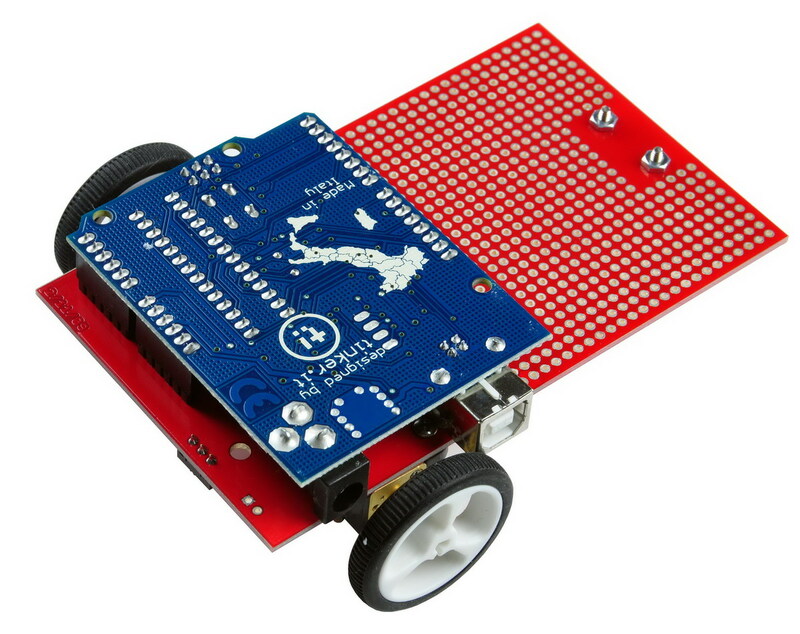 The Ardubot makes a great mobile testing platform. Or you could just go terrorize the cat and annoy your family and friends. 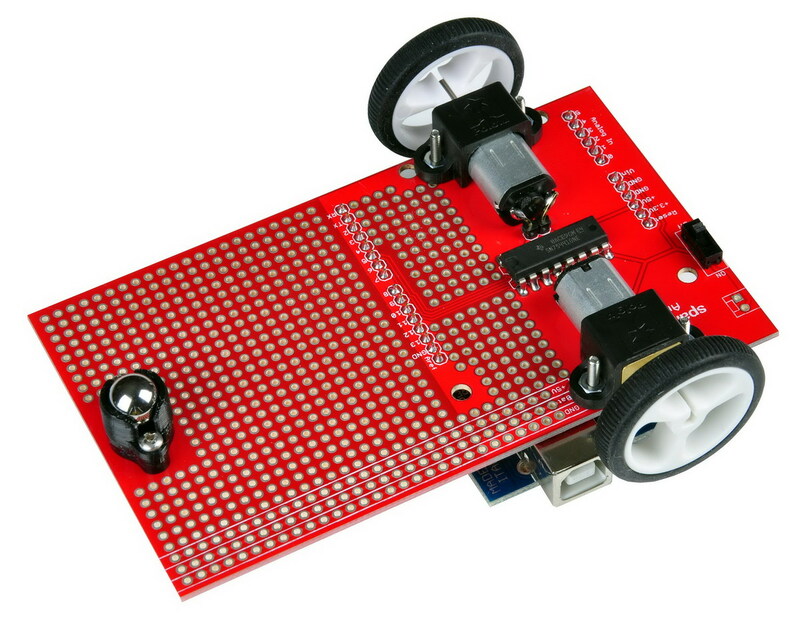 Add some lasers and theme music and you can start your own battle-bot league! 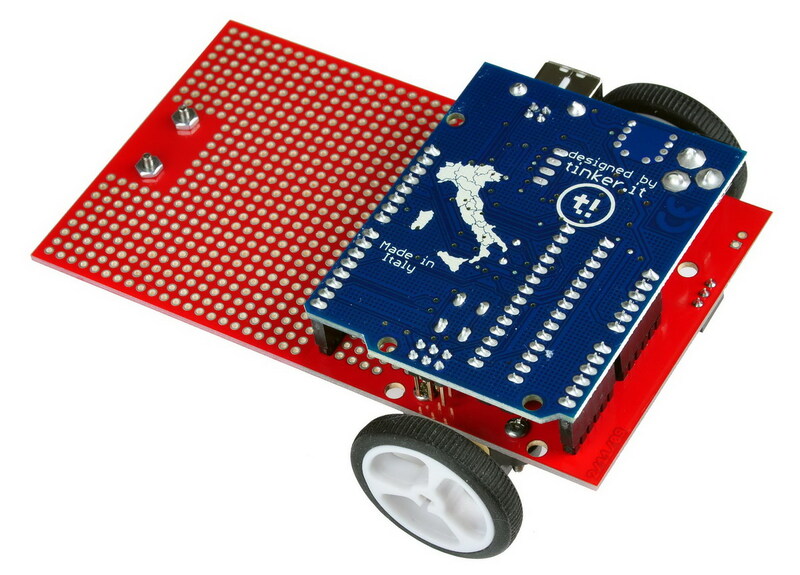 The Ardubot is designed to be mated with a standard Aduino UNO, Duemilanove, Diecimila, Arduino Pro 3.3V, Arduino Pro 5V or Seeeduino . 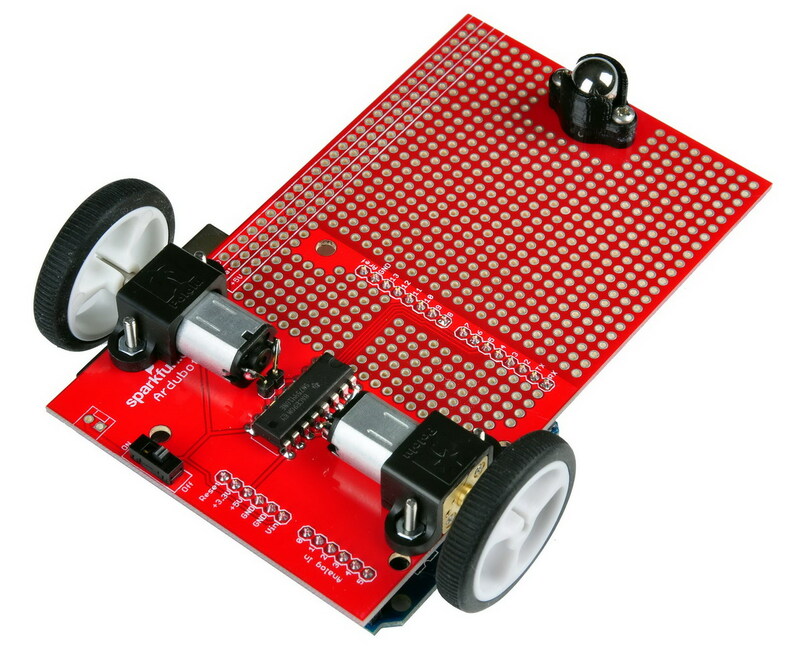 This kit comes with a Ardubot PCB, 2 micro metal gearmotors 30:1, 2 32 x 7mm wheels, 2 micro metal gearmotor brackets, a front caster, a SPDT mini ON/OFF switch, 40-PIN break away headers and a SN754410NE bridge driver. 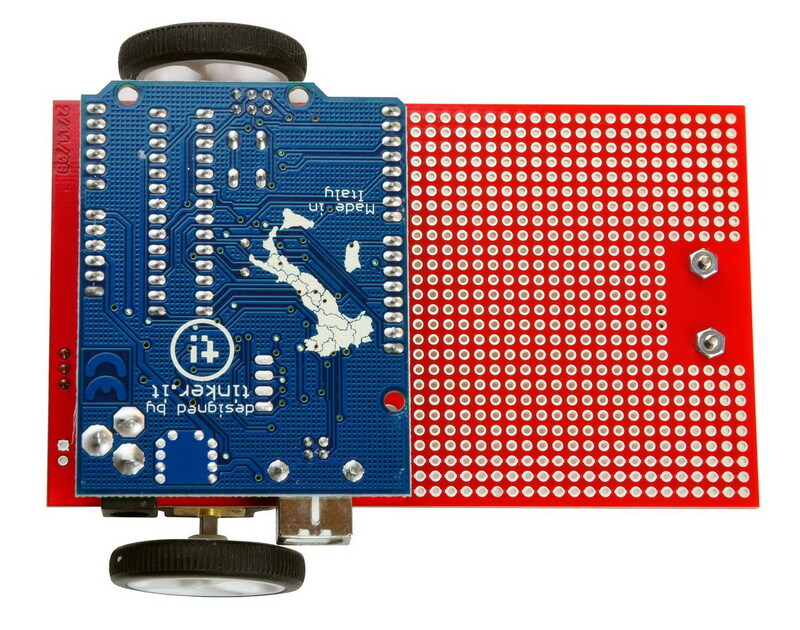 All the Arduino pins are broken out to the Ardubot PCB, along with a generous amount of prototyping area and power busses that run the length of the board. Check the tutorial to put one together. � 1 SN754410NE bridge driver. 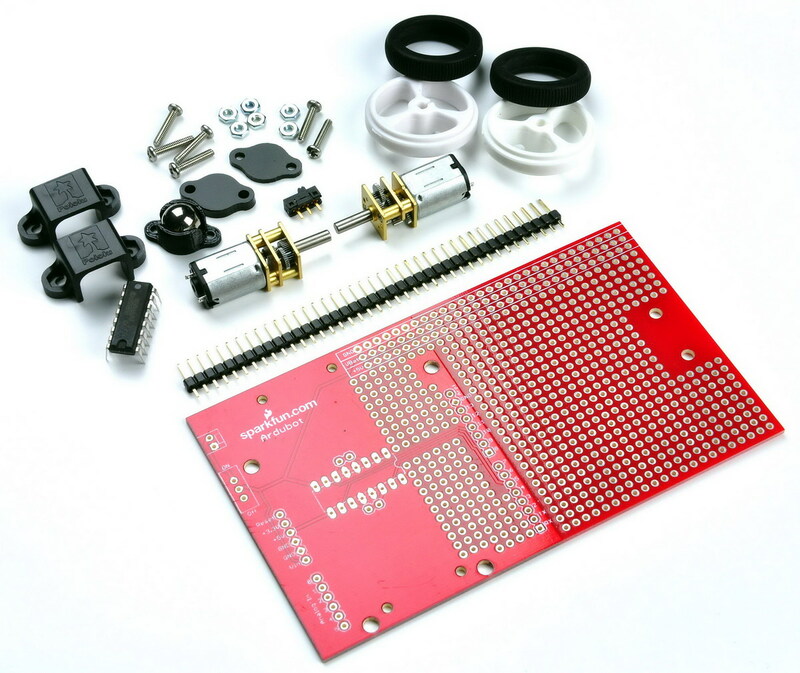 The kit comes all of the parts and easy to assembled. However, there is a beginning experience with soldering iron required. Please see the tutorial for more detail.